PageHabit is a book subscription box that sends a title in the genre of your choice with annotations from the author, a bookmark, and other book-related goods. Choose between the monthly genres: Literary Fiction, Mystery, Fantasy, Young Adult Fiction, Romance, Horror, or Historical Fiction, and quarterly genres: Literary Fiction, Young Adult Fiction, or Cookbook. This review is of the PageHabit Horror genre, $29.99 a month, box. The Products: 1 hardback book annotated with notes by the author, a bookmark, a blank notebook, a letter from the author, and a book light. Ships to: the US for $4.99, Canada for $14.99, and Everywhere else in the world for $19.99, plus any local taxes that may be applied. Each PageHabit purchase goes to supporting children’s literacy across the world, and for February, PageHabit is working with Books for Africa to donate books to Ethiopia. The card gave some basic information on the resources for the region, while the opposite side of the card shows you every book chosen for February in all the genres they offer. Each PageHabit box has a letter from the author, which makes these boxes extra special. This one is a neat departure from previous author letters because it’s actually a map! On this sheet, author Emily Winslow shows us around Cambridge, where most of the book takes place, explaining the river and several landmarks that end up having significance in the story. These boxes always include a bookmark, and this month’s box included one with a quote from George R. R. Martin’s Game of Thrones. I’m still a bit out of the loop on this fandom, but it’s on my list, for both reading and binge-watching. It was so interesting to see a classic short story in this month’s box! First published all the way back in 1819, this story is old enough that it’s in the public domain in the United States – meaning it technically belongs to the public and isn’t subject to copyright. As many may know, the story follows the titular character who is beloved by the people of his town at the foot of the Catskill mountains, but has a love for idleness (don’t we all? ), and much to the dismay of his wife, tends to let his house and farm go somewhat to seed. One day, Rip heads to the woods with his dog and comes upon a man who needs help carrying his keg up the mountain (like you do). While assisting the man, Rip finds himself in the company of a group of men playing nine-pin in a hollow. He helps himself to some of their beverage and promptly falls into a deep sleep. When he wakes, he immediately worries that he’s going to be in big trouble with his wife, and hurries back to town, only to find that he’s slept for 20 years, and has missed the entire Revolutionary War! I have to say, I have mixed feelings on this story. It’s definitely not the most feminist read, considering how unkind the story is to Dame Van Winkle, Rip’s wife, and second, it’s also kind of sad, considering that Rip loses 20 years of his life, but it’s always interesting to read (or re-read) a classic from so long ago. These are so cute! I love the more stationery-esque items that arrive in these boxes, and these little sticky notes speak to both my love of organization AND my love of comics. Hope my husband doesn’t mind if I stick these all over every surface of our house with my endless to-do lists. This is my first accessory in a PageHabit box, and it’s a good one! I really love beanies, and this one, in particular, is super-cozy. And, of course, the rich black color matches everything I own. I love the little “bookworm” tag on it; it gives it a bit more personality. I really liked that they included this accessory for a winter box; it would be equally perfect to wear on a hike, or early in the morning while waiting for an estate sale to open for the day. Of all the bookmarks I have received in subscription boxes, this might be my very favorite set! I love the comic book-style font and the new shapes these come in. This set is also perfect for my purse book, since the bookmark rests flush against the pages, with nothing to stick up and accidentally poke me! “Lilling might seem like an idyllic English village, but it’s home to a dark history. In 1976, a teenage girl named Annalise Wood disappeared, and though her body was later discovered, the culprit was never found. Decades later, Annalise maintains a perverse kind of celebrity and is still the focus of grief, speculation, and for one young woman, a disturbing, escalating jealousy. I read a lot of books in this genre, even outside of this box, and I have to say, this book gripped me immediately. It’s written in easy-to-read, first-person, past tense, alternating among the main characters: Dr. Laurie Ambrose, a psychiatrist; cold-case detective Morris Keene; and his former partner, Chloe Frohmann, who is assisting in Morris’ strange cold case during her time on maternity. Two of Dr. Ambrose’s patients appear in the novel as well, in the form of transcribed recordings from the doctor’s sessions with each woman. The approach to the story provides a well-rounded perspective on the high-profile case of Annalise’s so-far unsolved murder how a crime like this one – particularly where the killer wasn’t apprehended right away – can affect the town in which it occurs, leaving ripples of effect even in the surrounding areas. The writing is really detail-rich and while the characters all have their own flaws, they’re each easy to root for in different ways. There’s something so fascinating about a cold murder case, and I’m finding this book to be the perfect companion to my other current read about forensic criminal profiling. The elements of the story are extremely human, and even though much of it is about death, I’m finding the author has quite a bit to say about life, too. Verdict: I am so glad I get to keep up with my reading goals this year thanks in part to this box! It’s always so fun to see what’s inside, and I have to say – this month’s book might just be my favorite to date. I really loved the items this month, too – I’m a sucker for sticky notes and I found the comic-style bookmarks to be rather genius. This also is my favorite Horror book I’ve received so far, making it a great experience all around. Can you still get this box if you sign up today? Sadly, no. 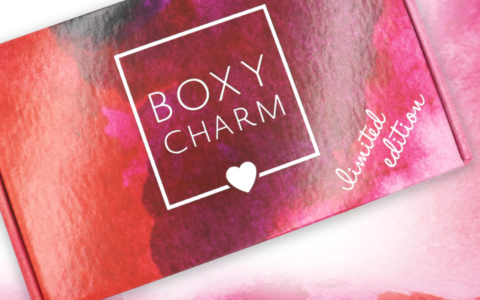 You will receive the March Box! Value Breakdown: This box cost me $29.99 + $4.99 shipping, which means that each of the 5 items (not including the author’s letter and paper bookmark) in the box has an average cost of $7.00. 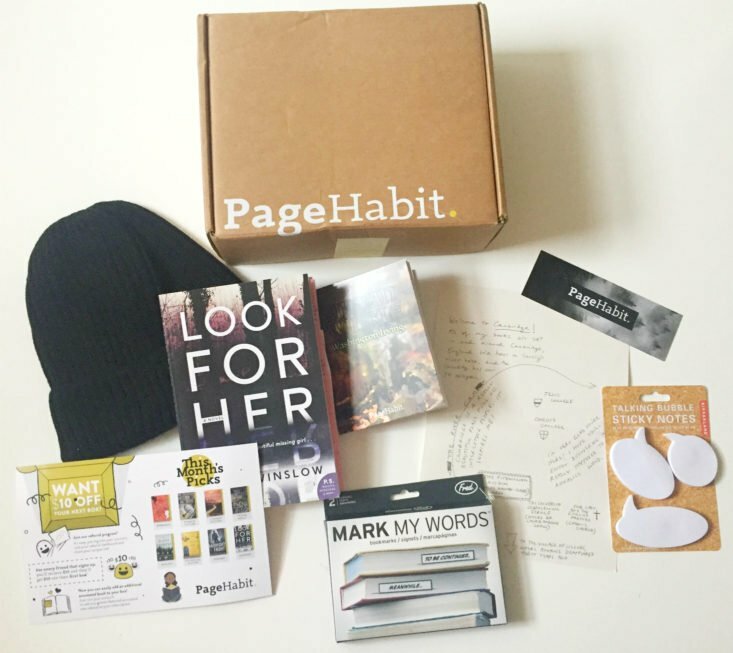 Be sure to check out our PageHabit reviews and the rest of our Book Subscription Box reviews! What do you think of this PageHabit box? How do subscribers rate PageHabit? Do you subscribe to PageHabit? Add your rating now! I really appreciated your review! I am always happy to read a book box review by an obvious reader. Your description of the book answered the main question for me that I always have before I start a mystery novel: is there depth of character development? I will definitely seek this book out. Page Habit, Powell’s box, and Vellum all are calling my name. Thanks! That book sounds super interesting! It was a satisfying read!